Today Jacobin is publishing two pieces on last week’s gay marriage referendum in Ireland. 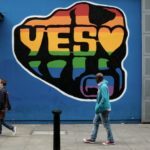 While both supportive of marriage equality, the authors draw different lessons from the resounding Yes victory. 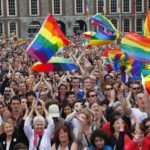 In supporting marriage equality, Ireland rejected the conservative structures that have shaped the country for centuries.